Wow, it's been a little while, hasn't it? I guess I took an unplanned-but-much-needed break from quilting and blogging in December. The holidays really kept me busy and also I was feeling a little burnt out. And after reviewing everything I made last year, I guess I can see why! 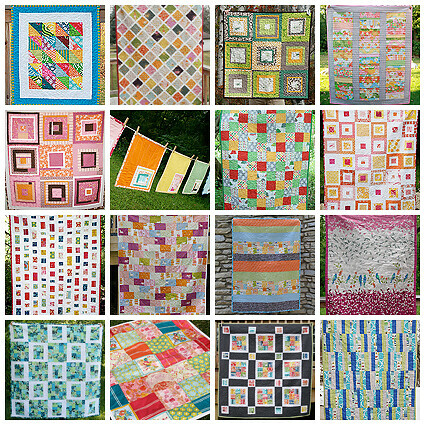 You can see all my finished quilts and links here. But I'm back, hard at work, and will be excited to share a very special quilt with you later this week. I'm off to the fabric store soon to pick up some backing fabric. 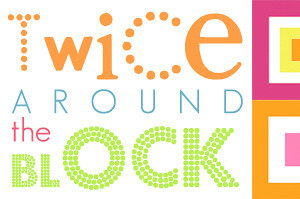 I am also starting a new quilting bee this month - the Twice Around the Block Virtual Quilting Bee. It's a very talented group of ladies, some from my old bee that ended last fall and some new. You can keep tabs on the fun over here on Flickr. I hope you all had a happy holiday season and here's to a wonderful 2011!